another great episode paul,with good advice.thanks for taking time to make these. I liked the guest appearance of the duck walking behind you. Another great episode full of facts and info. My son is 2yrs old and he loves going to the woods and seeing anything nature has to show. He especially loves collecting sticks to make a ‘fire!’ Which is amazing as he’s never seen me make a camp fire. Thanks again. I’m glad you enjoy quality time out in the woods with your boy already. Loving these, many parents need easy access to expertise they don’t always have themselves without it costing them a fortune- there are soooooo many people willing to sell you advice/experience but few reliable people who give it away so freely, many thanks. The engagement of the younger genrations is vital, without it there will be no ‘natural’ environments left for the next century, they will be making tomorrow’s decisions about how we use/abuse/engage with our landscape based on the lives THEY lead today, so if they are not out exploring the natural world they will forsake it. Personally I think it is The Key Issue that will define our descendents future. Creating the stories in childhood about ‘wilderness’ and our place in it, allowing them time to relate to all that wonder in their own way, is being sidelined by economic and educational philisophical arguements and we have become paralysed by it. Thank you for putting this stuff simply – go out, stand back and let them off the leash! p.s. O’Tom tick removers are useful for free range kids….. Thanks for your comment. A very good point and very well made. Thank you. Glad this series is working well for you. Writing these answers out as a blog post is not something I have time to do personally. That’s one of the reasons I’m speaking the answers rather than writing email replies like I used to – it’s much quicker to get the information back out to those asking questions. Questions were piling up and I just wasn’t getting around to answering a lot of them. 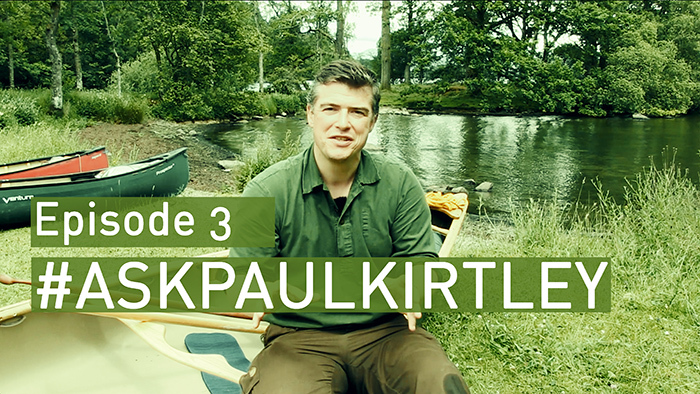 I could look at having a transcript typed up like I do for the Paul Kirtley podcast but there is a significant cost involved in having accurate transcriptions done and I want to make #askpaulkirtley a regular feature (plus it’s a free service). I’ll look into the options. Watch this space. These are making excellent viewing and as you say, it gets the information out to many rather than just an individual. Many thanks. Thanks for the feedback Austin. I’m glad you see the value in this series. Very useful advice once again as well as more useful tips. It is always easier to receive good advice than give it. But I will pass on your ‘pearls of wisdom’. You’re very welcome Mark. I hope the answers help. Plus do check out Mark Yate’s interview with Stella from Lyme Disease Action. Thinking specifically at rights woods for bow drill fire questin, in my environment it is so hard to find the right woods because we have much of beech and oaks… I always find poplar and hazel which are very good woods for this purpose only in countryside rather than mountain and woods I normally hike. Just only to say that is hard to find the right bow drill woods if I need it that forcing me to carry bow drill set with me from other places. I’m sorry if I am not so clear but I hope you understanding. Many thanks for putting all your advice out there! As a father of two girls, whom I try to get into nature as much as our little crowded country (netherlands) allows, I value your remarks about children learning bushcraft. An additional point I wanted to raise is that we need to allow them to trust being outside. They learn from us and they will copy our anxiety if we show it. My girls love sleeping in the hammock (the more storm and rain the better! ), jumping in dark waters and making fires. And I make a point of it not to show my hesitation and not to ask them about their fears. Of course within in the boundaries of what I think is safe. I am convinced that many children are learned not to trust nature or even to be afraid of rain, dirt, bacteria etc etc. Like you mentioned in relation to ticks, we as a society are made more afraid then ever!